My first really deep experience with grief was when my mother past away in 1998. Recently, in August 2013, I lost my cousin, Kelly Williams and my Aunt Marcelette. It was back to back, cross country funerals. Once the initial shock of the reality of death and the funeral activity calmed down the real grief set in. The last task is where the Yoga For Grief comes in. 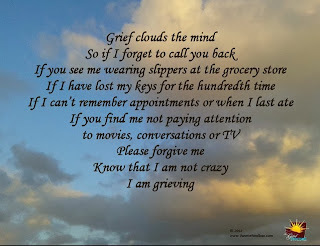 I can relate to the concept To withdraw the emotional energy of grief and reinvest it in a Yoga practice. My first video Yoga Flava For Relaxation is the perfect guide to reinvesting the energy of grief. Calming and relaxing poses. This is a holistic approach to healing with yoga postures designed for those who are going through the process of grief. The poses open the chest to breathe. The wisdom of the yoga tradition can be enormously helpful. Asana, breathwork, meditation—and, especially, the perspective on loss and death taught by the ancient yogis and sages of the East—can not only mitigate pain and expedite the grief process but also transform your experience of life after loss. Then class becomes an exercise in self-compassion. Yoga helps you live in your body with your emotions." Check out the Yoga Flava TV clip "Aura Energizer". Not just YOGA also the FLAVA of life! PRIVATE SESSIONS AVAILABLE IN-PERSON FOR WOMEN AND VIA SKYPE FOR ALL!